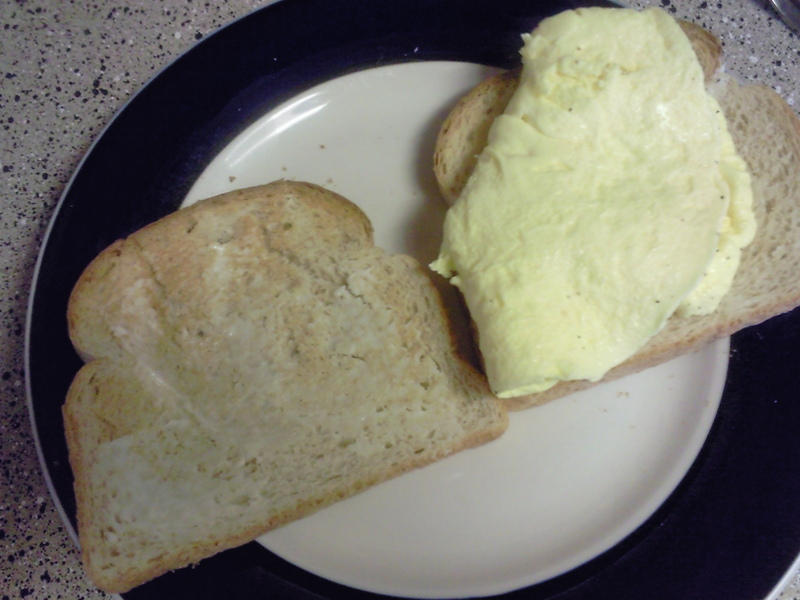 This morning’s B-Fast was an egg sandwich on toasted light wheat bread, with LC cheese spread on. 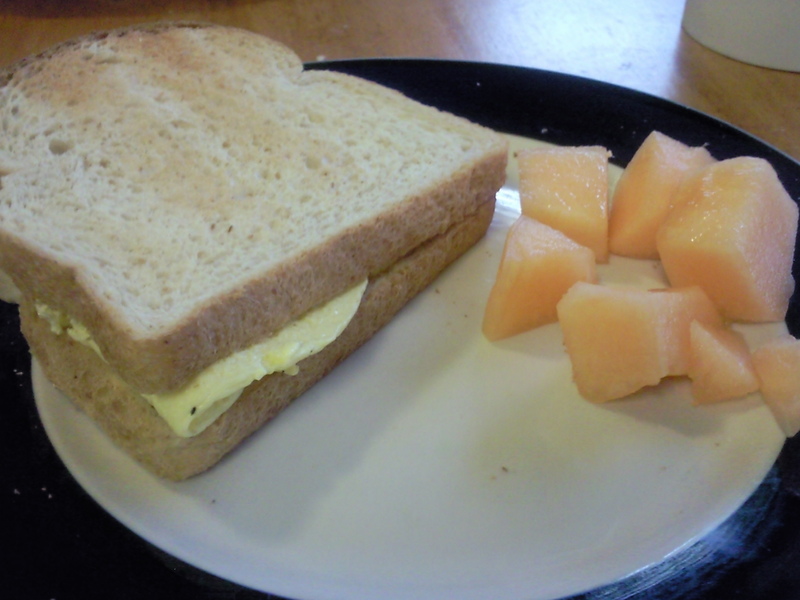 A side of cantaloupe made it sweet! So I’ve been running like crazy lately. Friday I helped at my daughter’s TaeKwonDo fundraiser garage sale. I was there all morning into the afternoon, and came home only to crash on the sofa for a mid afternoon nap. Needless to say I didn’t really snap any pictures of what I ate which was just an Apple Pie LaraBar and a slice of the yummy veggie pizza from Pizza Hut. 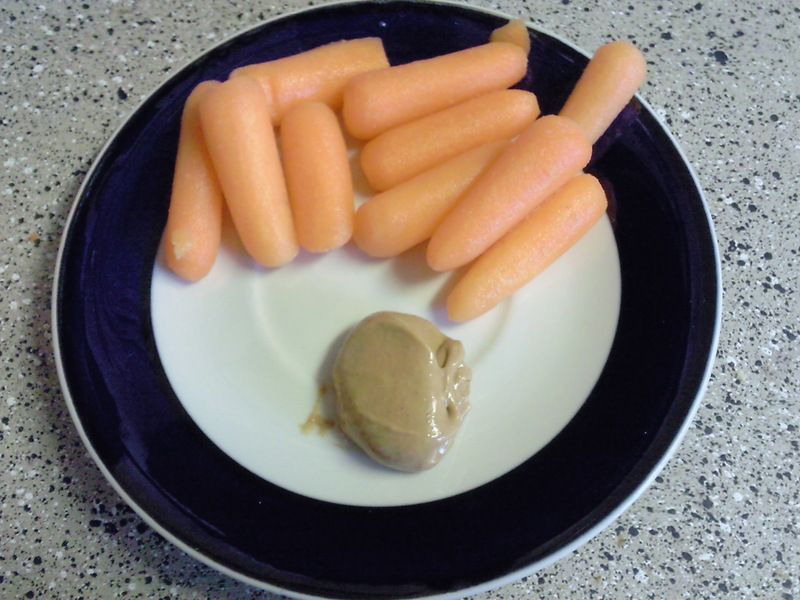 Some of the food I ate later in the day though was some carrots and peanut butter. Then it was off to her fight class that evening. It’s about an hour long and she practices up on her sparring for the upcoming tournament in April. After dinner we swung by Rosa’s Tortilla Factory and I ordered a shredded chicken salad. I forgot to take a pic though. The long day was getting to me. 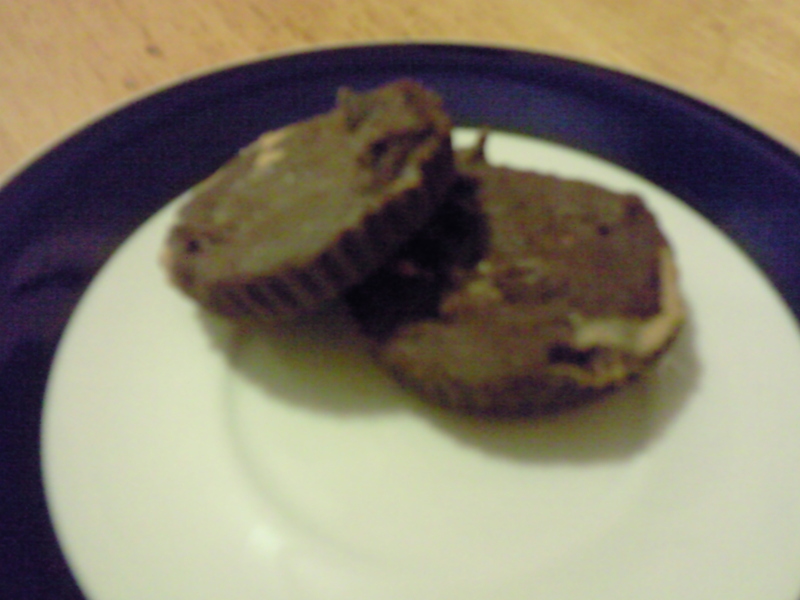 Later that night, I did try my hand at some homemade Peanut Butter Cups courtesy Love Veggies and Yoga’s recipe. I burnt the chocolate a little, but they still came out pretty good. Who does that!? I do. If you read up about me I don’t cook, so don’t be surprised. 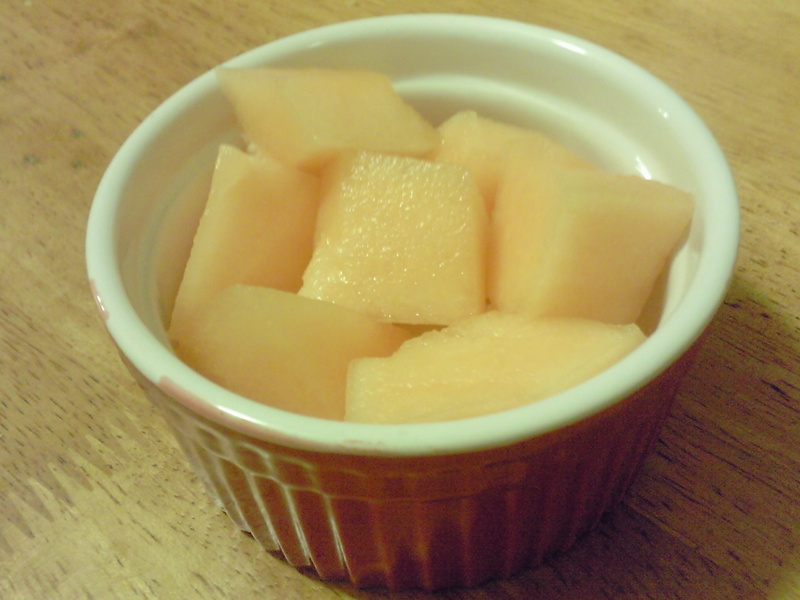 I also had a simple bowl of cantaloupe. Today we waited around for the satellite guy to show up and fix our dish. Our week without “real” TV is over. Back to the plethora of never-ending channels and DVR. Plus for our inconvenience, we received a free week on our next bill and 3 months of Shotime for free. How nice. Lunch today was on our way to the grocery store. When you ask a 5 nd 2 year old where they want to eat what do you think they will say? If you guessed CiCi’s Pizza you’re right! Ok, so for like the 3rd day in a row I’m eating pizza. 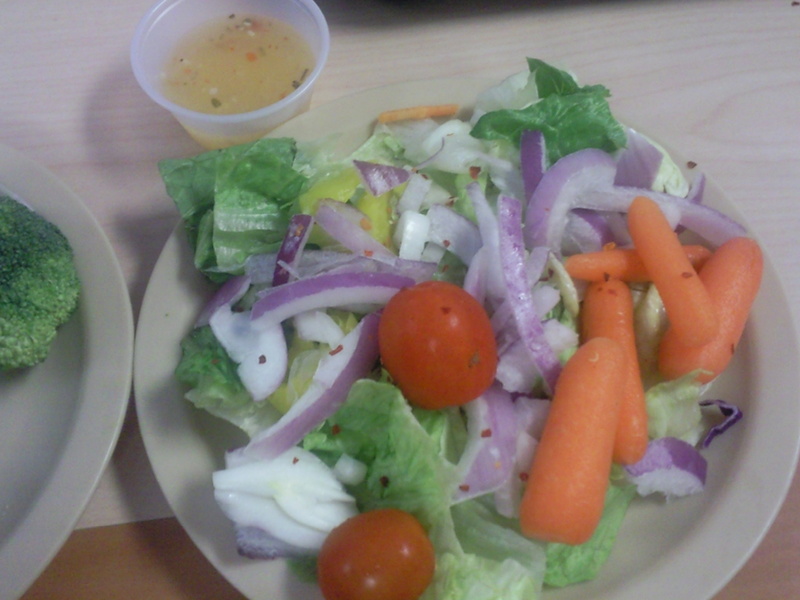 But this time they had salad to go along with it so I filled up. 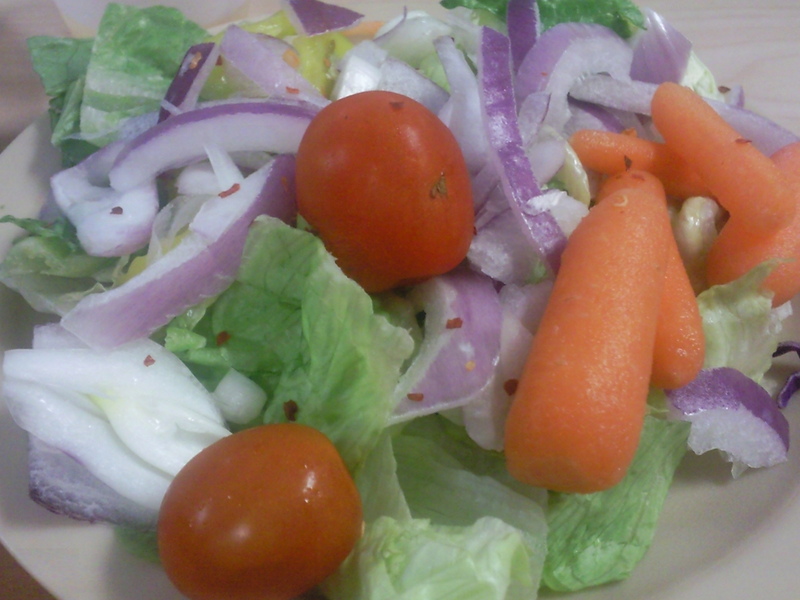 I made a huge salad and enjoyed 2 slices of pizza. 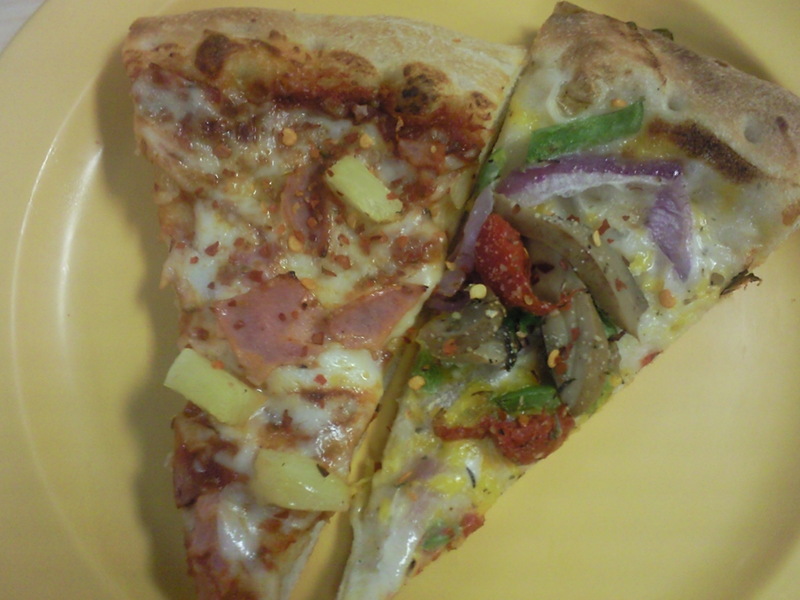 A ham and pineapple, and a veggie. After going to two different stores to get our groceries ( Kroger didn’t have the plain Greek Dannon, so I also tried Albertson’s). B had picked up a new item for us! 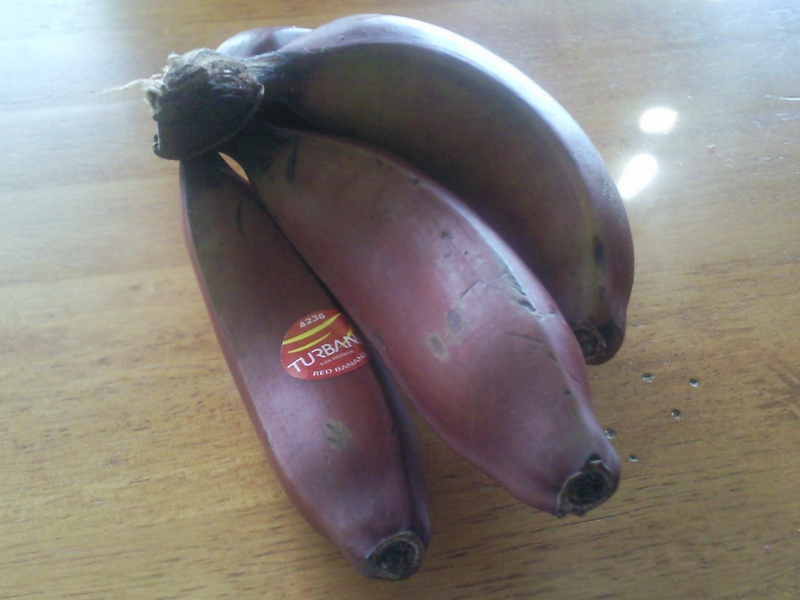 He found some mini red bananas. Pretty cool huh? 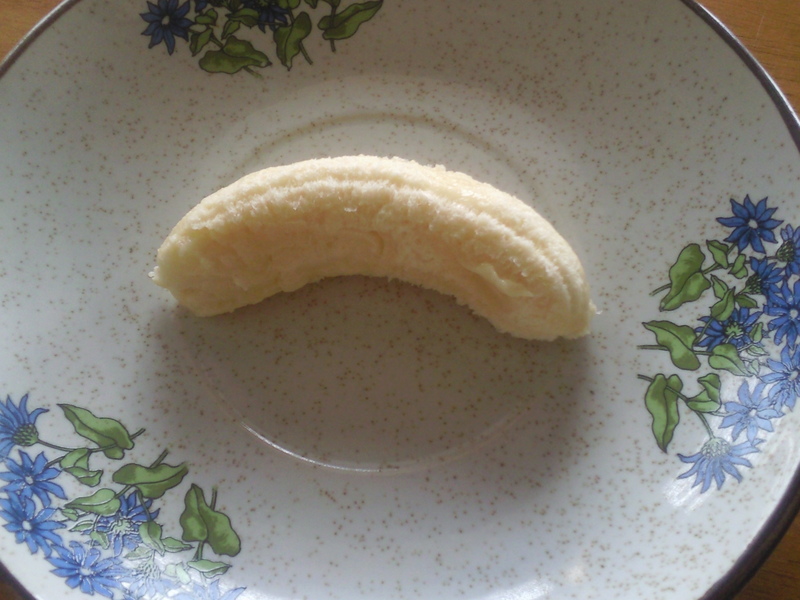 It was tiny, a little mushier than a yellow banana, but tasted pretty much the same. We both tried the red banana but what I really wanted was a pear! 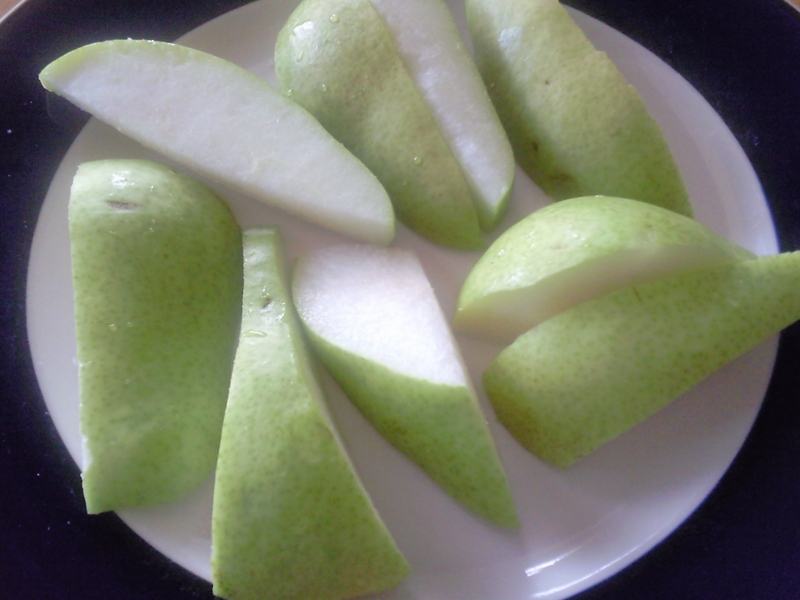 I cut one of those bad boys up and munched away! So that’s my day so far. I still have a ton of stuff to do around the house before the weekend is over, but I may just take it easy and see what happens to my chores when I blink 3 times and wiggle my nose a little. I’ll let you know how that works out…K? So sorry to inform you that I tried the blinking, winking and wiggling…didn’t work. The food sounds good though. egg sandwiches with laughing cow make the world go round! « Attack of the snacks!